I’m one of those people who does their makeup on the train in the morning. That means I like to have products that are small and compact – and perform well too. I also want these items to be relatively affordable if I’m using them daily so it won’t cost me a lot to replace them. I’m still trying to find my *perfect* travel set, but these are my favourites so far. For my base makeup, I like to use the Body Shop’s Matte Clay Skin Clarifying Foundation. Once I blend this, it looks as if it turns into a powder like texture and meshes into my skin. 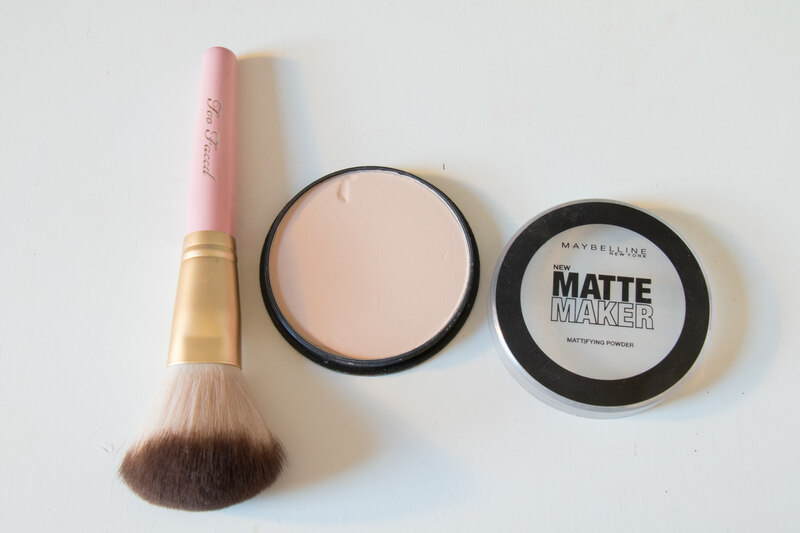 I have oily skin so this is a life saver for wearing through a long day, and topped with my Matte Maker by Maybelline, I’m never shiny throughout the day and often forget I’m wearing makeup. The powder doesn’t cake up my foundation and isn’t chalky either, but what I like most is that both these products are very compact. With the foundation, you’re still getting 1 fluid ounce but in a much smaller package. I like to use my ZOEVA buffer brush as it gives me the fullest coverage. Although this brush is quite chunky and not very ‘portable’, I can allow room for it as I like to get the most out of my foundations. The bristles are densely packed and soft which allow for this fuller coverage application. For my powder, I use my beloved Too Faced Powder Brush. These brushes are described to have ‘teddy bear hair’ and they definitely don’t disappoint; they’re the kind of brushes you just want to roll around your face because they’re so soft. I’m usually a pomade girl, but I use a powder now because using a pomade whilst on a train is quite risky. I really like this powder because of the rounded tip, it makes applying the powder really easy. You have to be careful though, as you can easily apply too much with this product. Instead of filling in the entire brow, I create the shape I want then use the angle end of the double sided brush to fill out the rest. The other side of this brush has a fluffy end – which I’ll mention later. I like this brush because it’s essentially 2 in 1, meaning it takes up less space. After I finish this powder, I want to try out brow tints, to save me time in the morning, but I’m not sure how they’ll hold up with my oil cleansing routine. As I’m quite pale, I often find it quite a struggle to find contour shades that aren’t too dark for my skin. As for highlight on a daily basis, I want something that gives a nice sheen but nothing too extreme – and the highlighter in this hits the spot. I use a pointed brush instead of a fan brush, as a fan brush can get misshaped very easily from being inside a makeup bag. 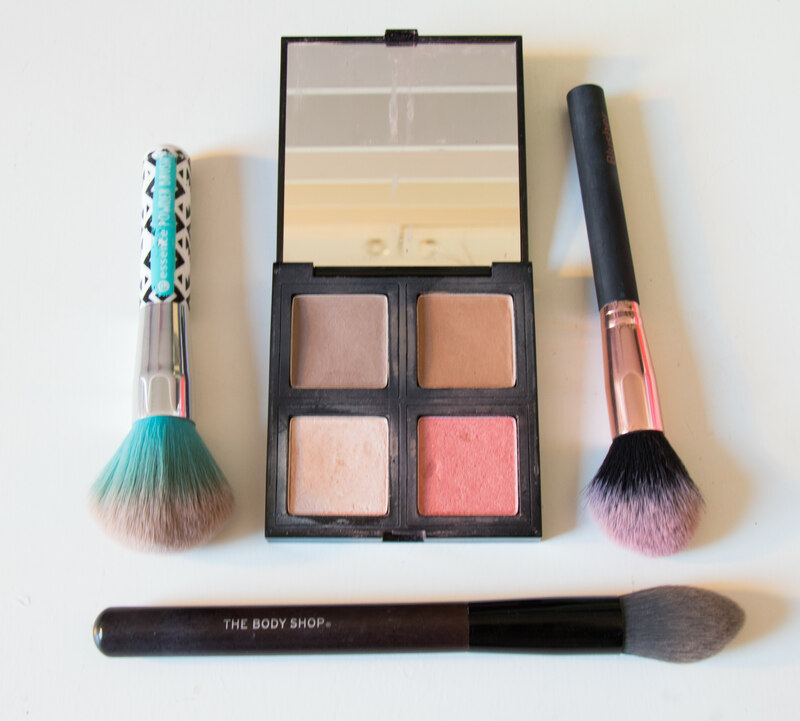 This palette also has a nice sized mirror in it, making it easy to do your makeup on-the-go. Initially, the blush might look a bit bright and sparkly in the pan, but on the face it’s a lovely sheer sheen which gives your cheeks a nice flushed look. 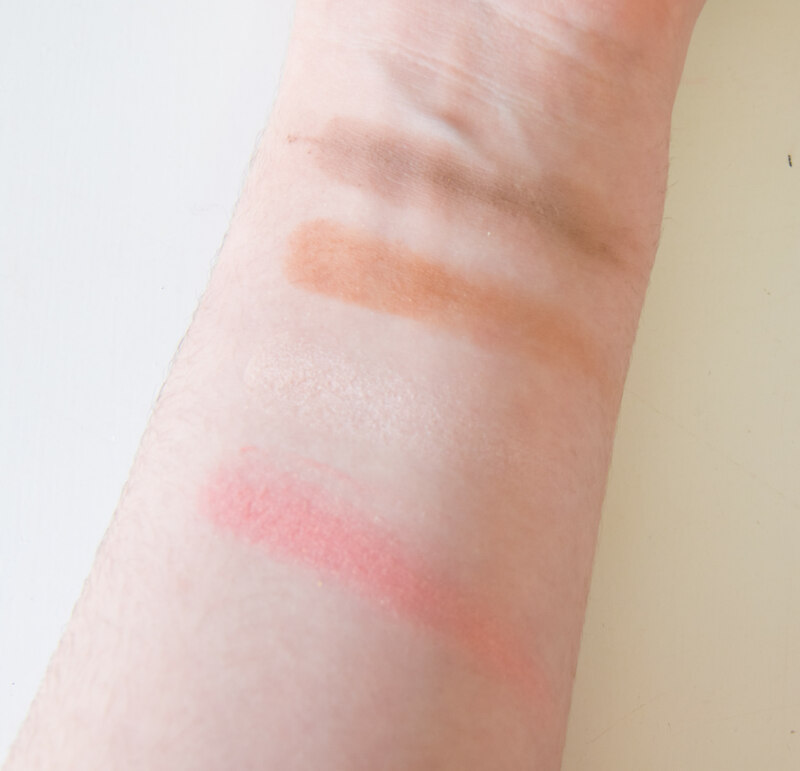 On the swatches, the bronzer might look a bit too orange, but when blended out on your face it subtly warms up the face without being too obvious. I usually apply this around my temples and around my forehead. 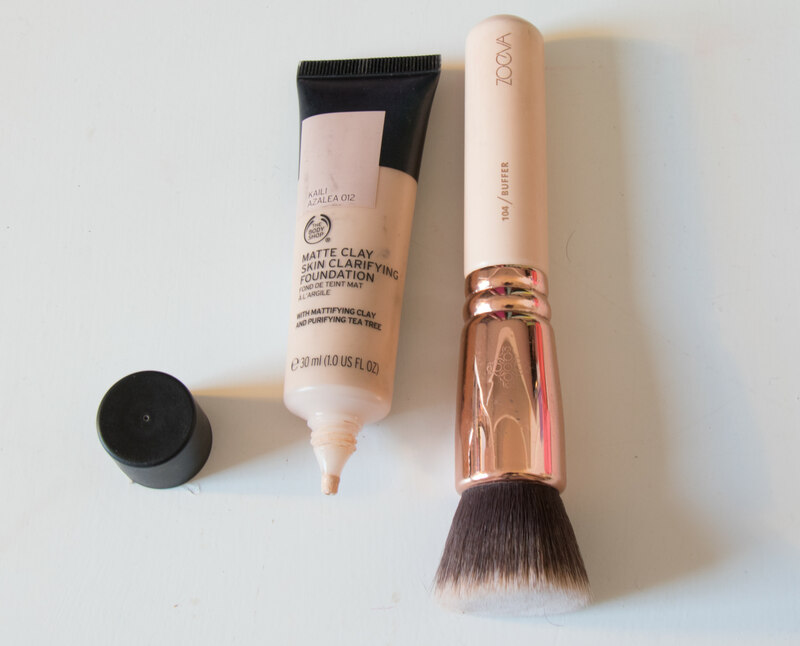 Breaking makeup laws, I use the Essence Powder Brush for both bronzing contour just because it means I don’t have to carry two brushes. I really like this contour shade because it’s cool enough for me to use. I use this to lightly carve out the sides of my cheeks and down my nose. 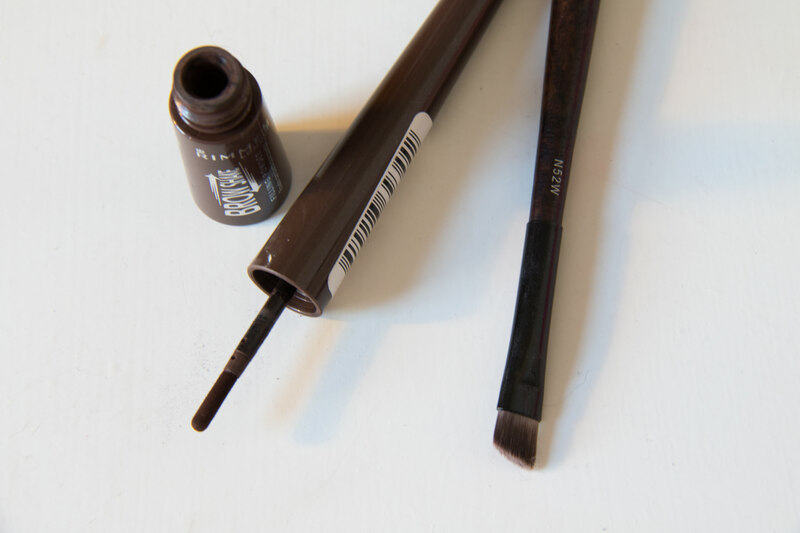 For the nose contour, I use the fluffy side of the double ended brush as it’s not too dense and slim enough. Sometimes I mix both the shades for either contouring or bronzing to make one shade less harsh. 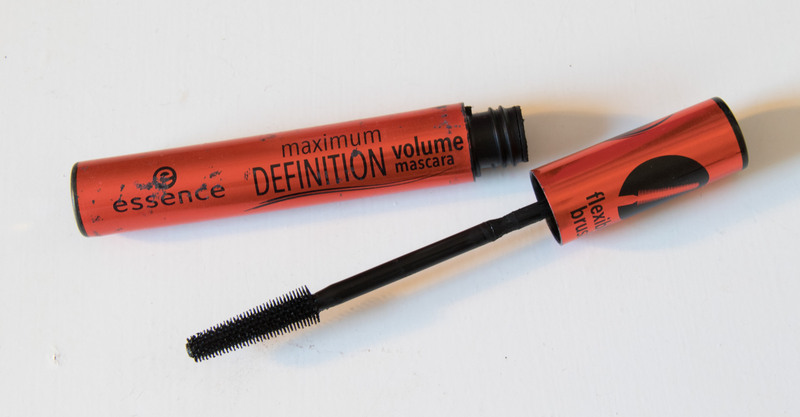 As mentioned in a previous post about Essence Cosmetics, I love this mascara. I really can’t stand clumpy mascara and this just elongates your lashes elegantly without the clusters of mascara! 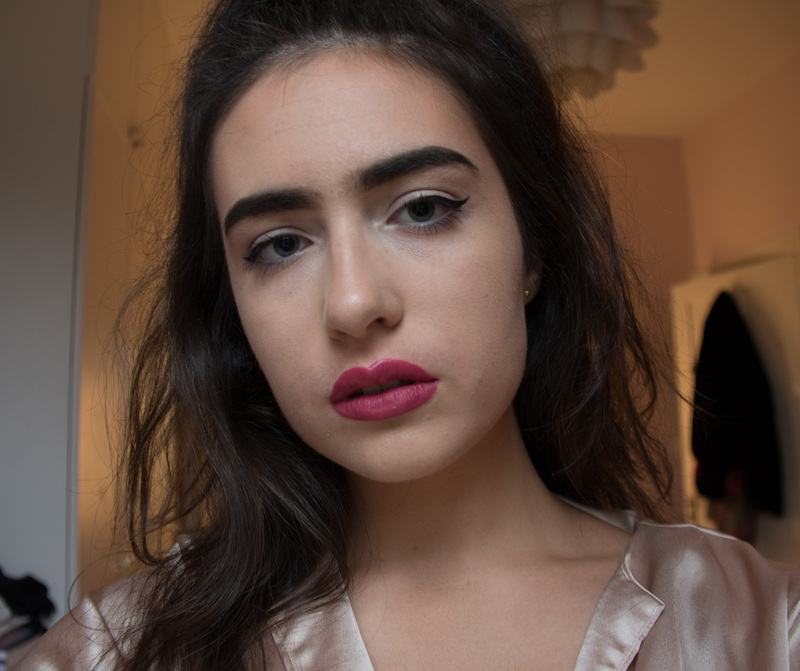 For a daily look you don’t really want thick, voluminous lashes anyway. For £2.80, you can afford using this everyday and replacing it every few months. I’m not sure about you, but while writing this post I became aware of how much this was all costing me. Bearing in mind that I’m using majorly drugstore to middle-end products, this still totals up to £85.30. While I know that my makeup collection altogether racks up to probably somewhere between £500-£1000, this still seems like a lot to me because when creating this kit, I was trying to use lower priced items. Obviously not everything listed here is going to work for you, but I thought it would be helpful to show what kind of items I look for when searching for products to add to my daily on-the-go routine. 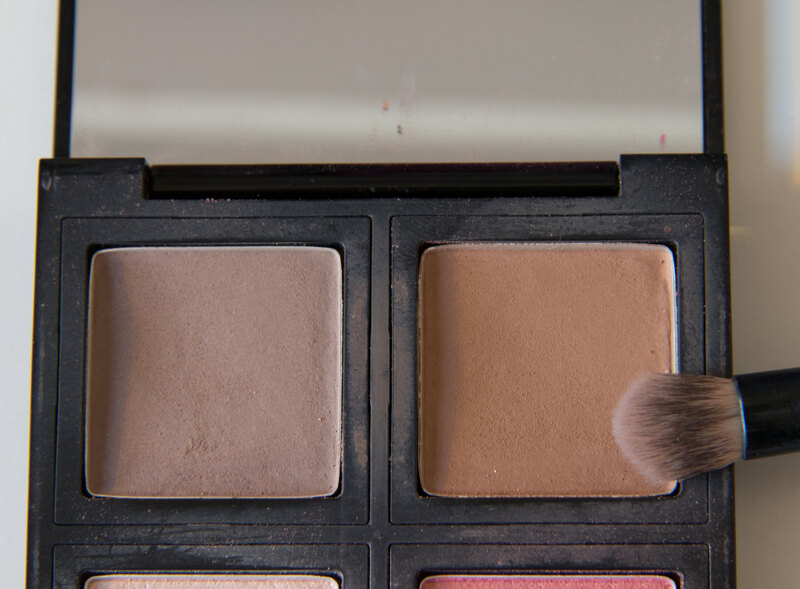 In summary: double ended brushes and all-in-one palettes are my go-to.